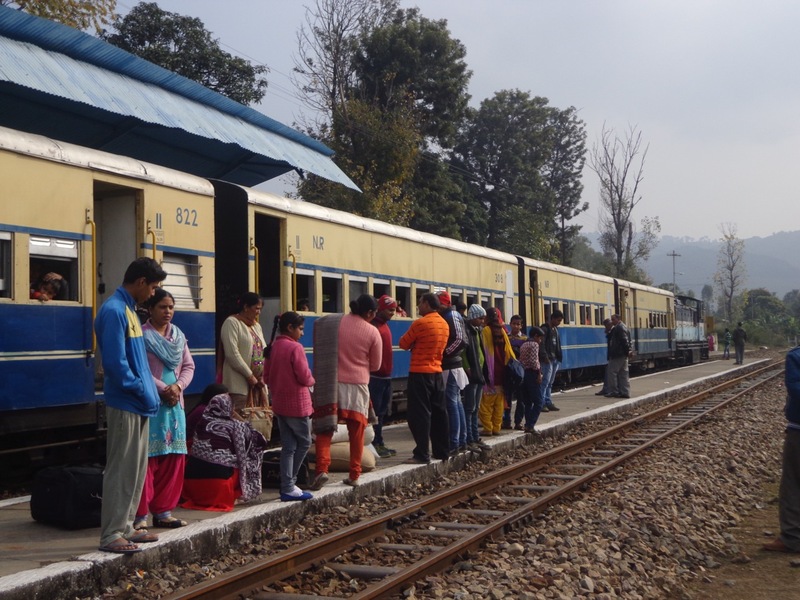 One of the reasons to take a detour to Kangra was to ride the narrow gauge train. My stay at Kangra in an abysmal hotel was mildly offset by my visit to the Kangra Fort. 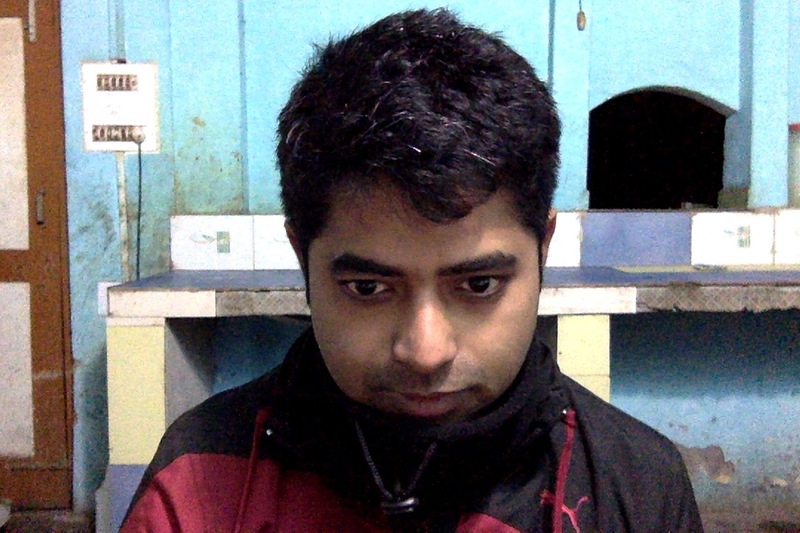 According to the manager of Hotel Yatriki, I should have also visited Chamunda Devi temple at Kangra. Technically, the temple isn’t in Kangra and I had visited enough temples already. 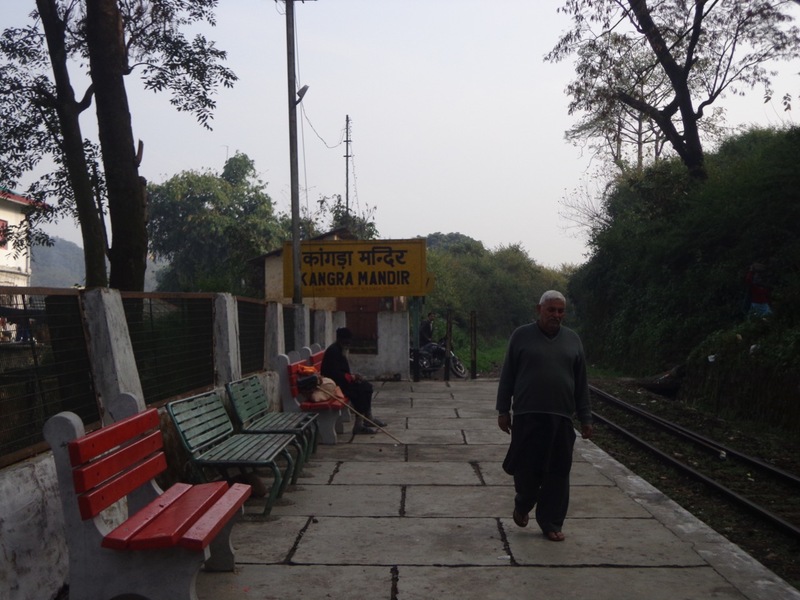 I targeted the 11:15 train from Kangra Mandir. 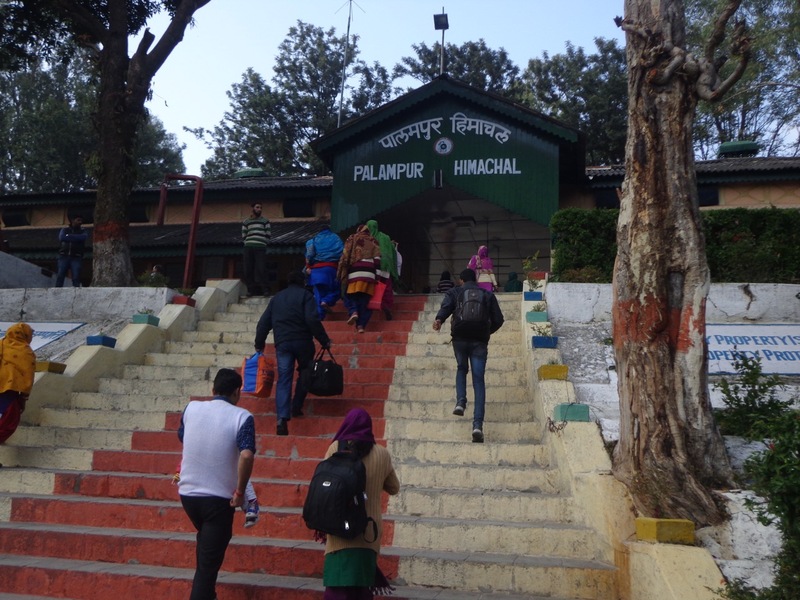 Palampur is six stations away. 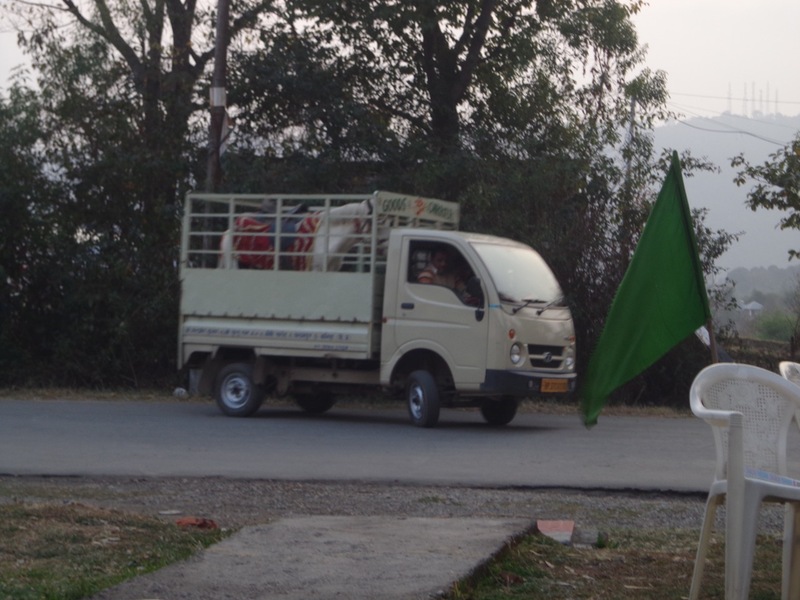 A much more convenient way would have been to take a direct bus to Palampur. Then again, convenience was not my concern at that point. I reached the station with about forty-five minutes to spare only to be informed that the train is late by fifteen minutes and the ticket counter would not open thirty minutes before the arrival of the train. 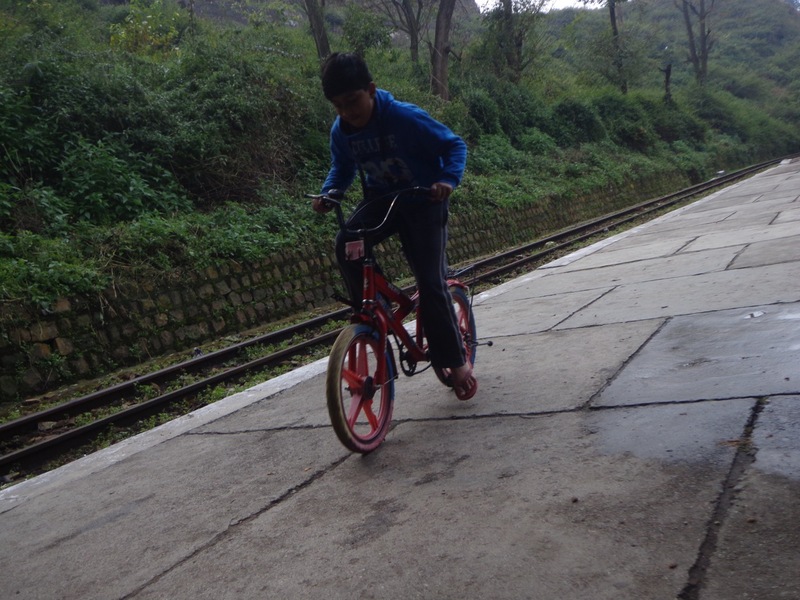 A kid was practicing his cycling skills on the small platform. The train stopped for over twenty minutes at Nagrota for crossing. 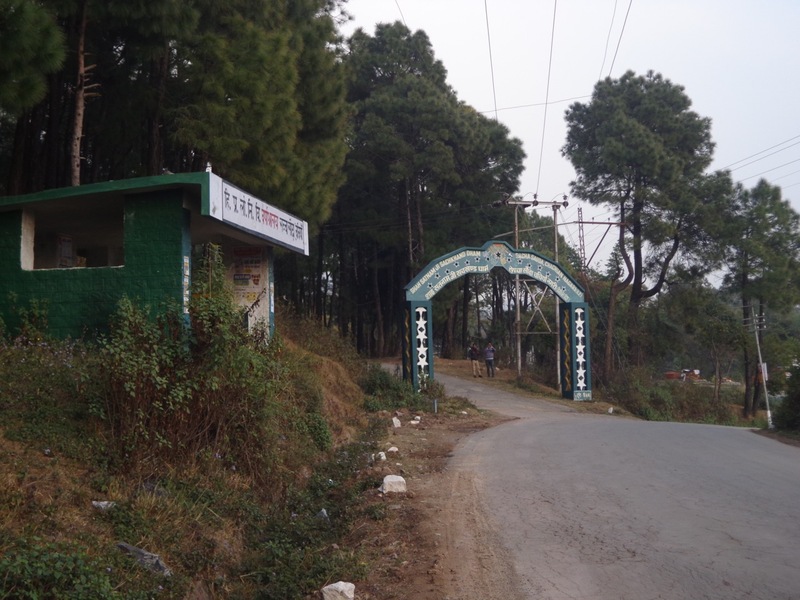 Palampur railway station is about 5 km from Palampur township. 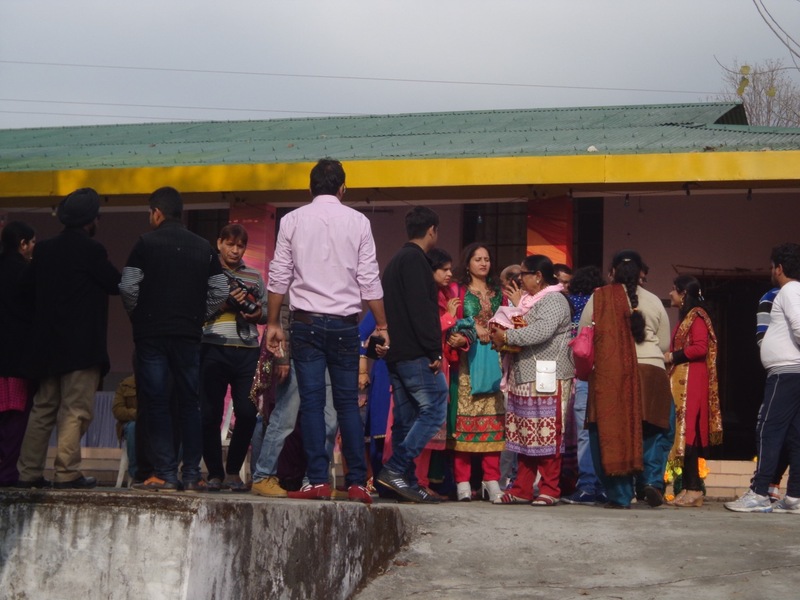 The hotel that I booked, Pops Hotel and Restaurant, is about 15 kms from Palampur bus stand and is in Chachian village. The location shown in Google Maps is off by some 13 kms. This is the correct location. Chachian village has a nice entrance, an electric substation and a clean bus stand. Gopalpur Zoo or the Dhauladhar Nature Park at Gopalpur is just adjacent to the hotel. After my lunch I decided to pay a visit. There was another reason for that, too. On Mondays the zoo remains closed and hence going there tomorrow was ruled out. The zoo has a lot of deers (Goral and Barking Deer), bears and leopards in captivity. Sunday evening saw a large crowd flocking inside the zoo. People generally had no regards for two things that were prohibited. Firstly, they made noises and allowed children to make noises in order to provoke the animals. Secondly, old bones played on the see-saws, slides and swings in the park even though it was clearly mentioned that these were meant for children below 12 years. 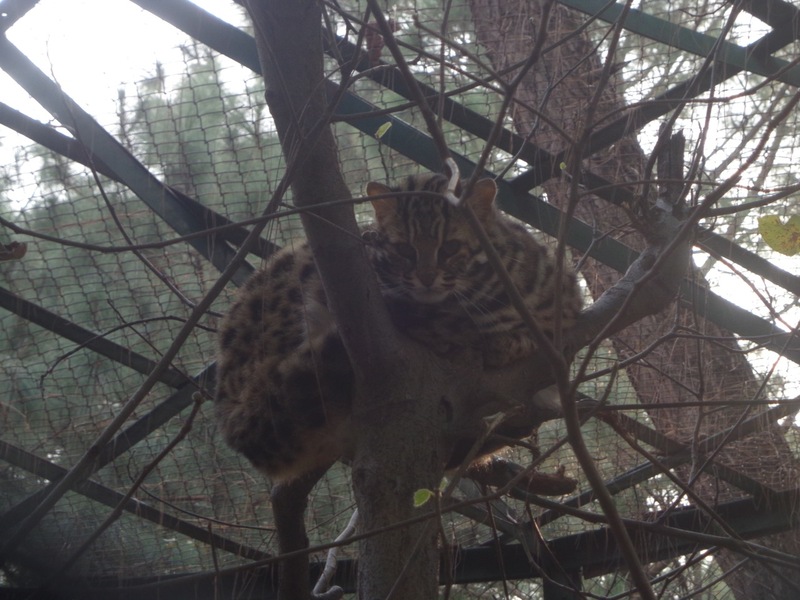 The lone Leopard Cat in the zoo. 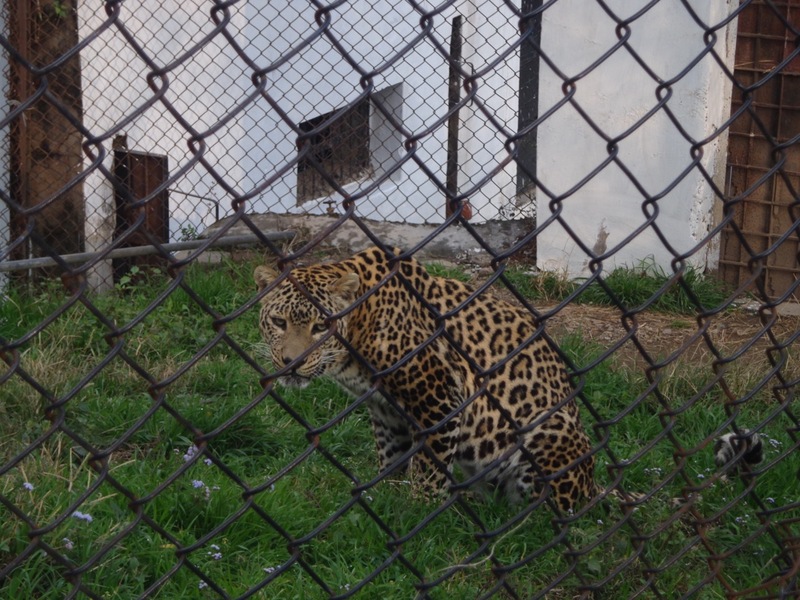 One amongst many of the common leopards kept captive in the zoo. Some of them were camouflaged so well that it took extra concentration to spot them. The owner, Nitesh, told me that he forgot to take the hotel off Agoda. 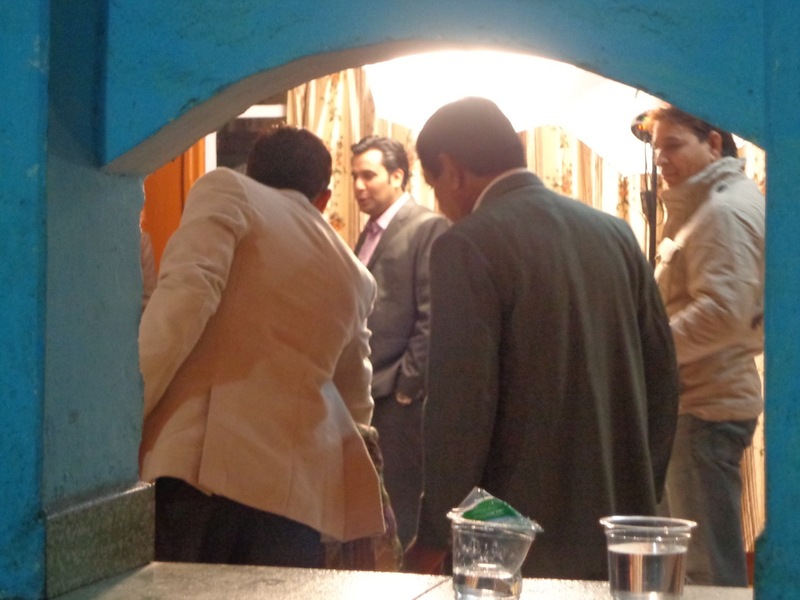 In fact, the hotel was pre-booked for a marriage between a Punjabi groom and a Gujrati bride. 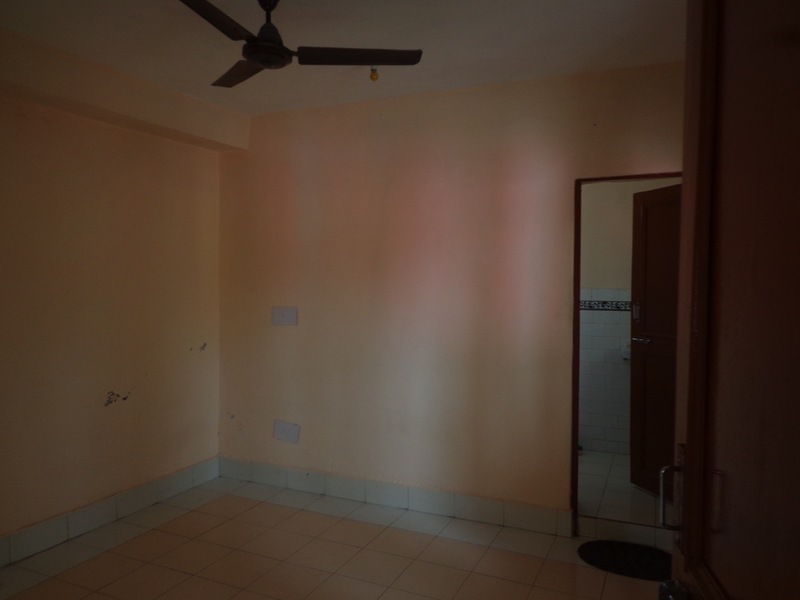 All the standard rooms were booked. 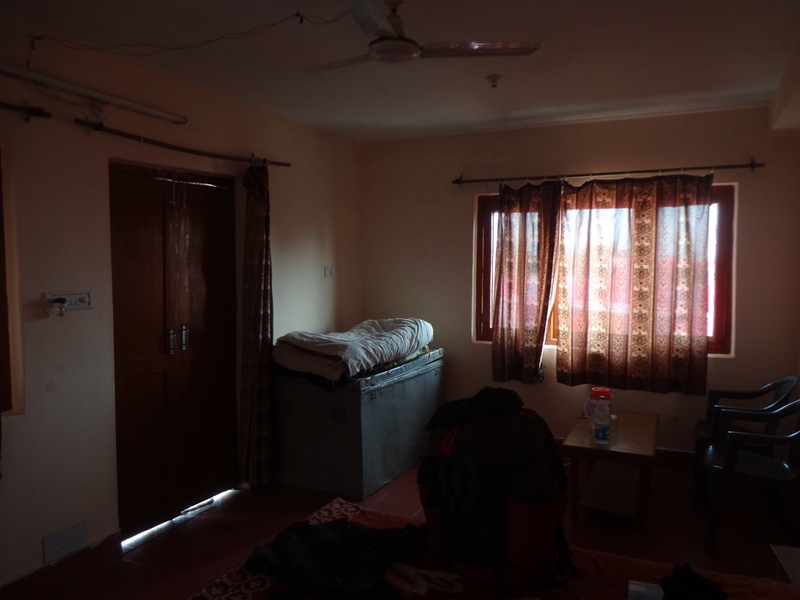 I was provided with a strange room; or rather one furnished room with poor quality furniture and a huge trunk, one empty room and a bathroom! That huge trunk in the corner! When I arrived, marriage preparations were in full bloom. I did not get the point of marrying in such a remote location. This place neither has any connection to the bride or groom nor is exotic. 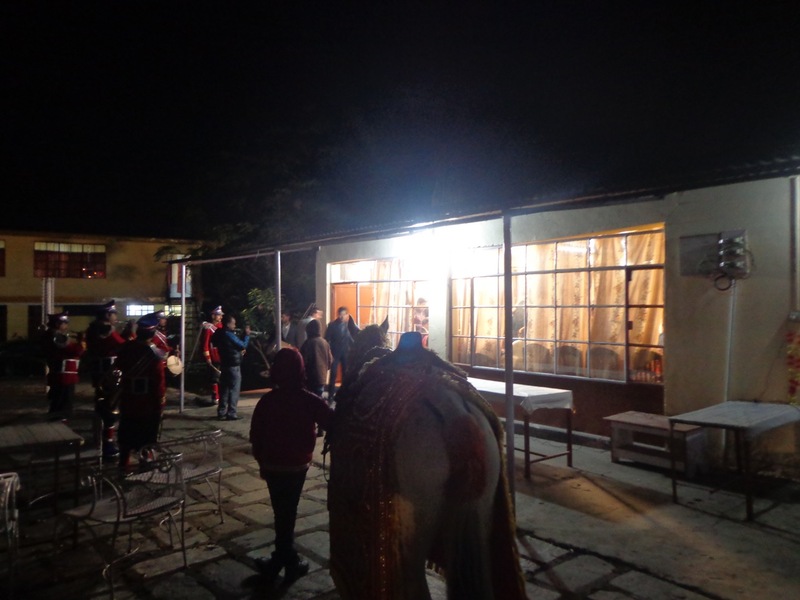 The workers mentioned that the extended families of both the bride and the groom have been staying there since the 10th. Some drunk friends of the groom have created ruckus, too. 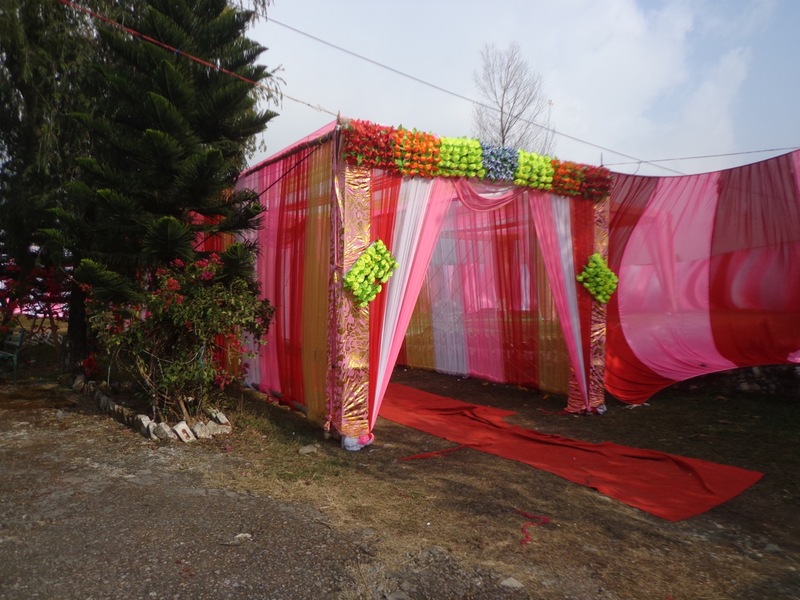 The marriage tent (pandal). Judging by the delay, the marriage would not occur before 12:00 in the night. The guys preparing to set up the food stalls. The horse was carried on a mini truck. The horse would eventually carry the groom. 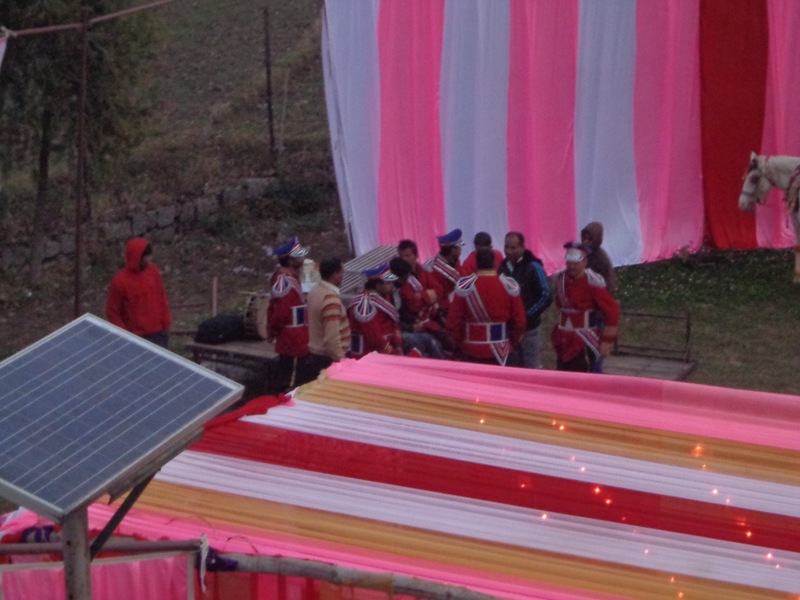 The band that would play when the groom arrives on the horse. They are six hours too early. Right now, the guys are blasting this song on repeat through poor quality speakers. No matter how apt the song is, it is a source of headache for me. At least, Nitesh promised me that he will shift me to a proper room tomorrow. I will ask him for a partial refund, else he is getting a poor review on travel sites from me. The 2G/3G signal is too poor in my room. Right now I am drafting this blog in the restaurant kitchen where the 2G signal of BSNL is manageable (although the signal often drops off without warning). My room is out of the hotel’s WiFi range, too. Not that it matters, since the internet connection is abysmal anyways. Pops Restaurant’s empty kitchen. It’s at least shut from the chaos outside. Update (10:00 pm): The restaurant space behind has been converted to a makeshift photo studio. The band and the horse is waiting for the groom. They are still two hours too early! I took this photo of a photo session with the groom through the counter that is used to pass food from the kitchen to the restaurant. The horse and the band waiting for the groom to get out of the photo booth. The horse defaecated soon afterwards!